New Horror / Sci-Fi Movie BEING Needs Your Help! Being (2015) is a new horror sci-fi movie that needs some pledges on KickStarter. The tagline reads “When mankind discovers something that challenges our beliefs…we kill each other!” Starring in Being will be Lance Henriksen, Robert John Burke and Brian Foyster. As of this writing, they are asking for a small $55,000 with 27 days left to go. Seriously, Joonas Makkonen‘s Finnish horror movie Bunny the Killer Thing (2015) will offend most of you so do not watch if you are easily offended. Today we have both the teaser trailer and movie poster for you. 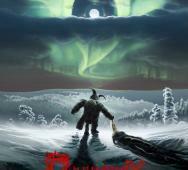 Raven Banner obtained the worldwide rights to this film so we should have a release date soon. Starring in Bunny the Killer Thing are Enni Ojutkangas, Veera W. Vilo, Orwi Imanuel Ameh, Jari Manninen, Marcus Massey, Roope Olenius, Vincent Tsang, Olli Saarenpaa, Matti Kiviniemi, Katja Jaskari, Hiski Hamalainen and Gareth Lawrence. 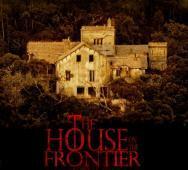 Xavier Rull‘s House on the Frontier new movie is still in pre-production but we have the official teaser poster here. News is extremely limited on this new film but casting is said to start soon. The film was written by Sergio Roman. The tagline reads “There’s a house where the world of the living ends… And it’s waiting for the next visitors.” Sounds good and cannot wait to get more news on this movie. Check out their Facebook Page and the teaser poster below. Danny Trejo accepted to play as The Regulator for El Rey‘s From Dusk Till Dawn Season 2 and here is the first photo of him in that role. 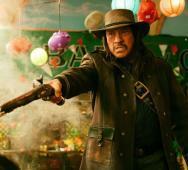 Trejo’s cousin Robert Rodriguez is spearheading the From Dusk Till Dawn TV Series so we knew we would see Trejo sooner or later. I personally cannot wait to see what new vampires are going to be shown in this new season and how much deeper they can expand on the vampire mythos. Jon Watts directs a new thriller which he also co-wrote with Christopher D. Ford titled Cop Car (2015). Cop Car is to be released in limited movie theaters on August 7, 2015 with the VOD and Digital HD release on August 14, 2015. After watching the trailer, I have to see this film. Kevin Bacon screaming “You do not steal a Cop Car!” is awesome and intense. 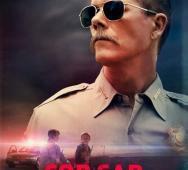 Starring in Cop Car are Kevin Bacon, Shea Whigham, Camryn Manheim, James Freedson-Jackson and Hays Welford. Hulu's Deadbeat Season 3 Confirmed! Hulu‘s Deadbeat Season 3 has been confirmed as happening. Tyler Labine plays Kevin Pacalioglu, a stoner who speaks to the dead and the Hulu series is a comedy that is great for late night watching. Labine helps ghosts in New York settle their unfinished business so they can move on. Season 3 will have 13 episodes with Lionsgate Television to produce. 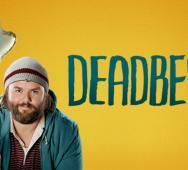 Hulu’s Deadbeat Season 3 does not have a premiere date set yet but we will keep you posted once it is released. Christmas horror movie Slay Belles (2015) is directed by Dan Walker (SpookyDan Walker) and here is the movie trailer / poster. In a slew of Christmas horror movies coming out this year we have Slay Belles looking to stand out from the rest. Walker needs help though getting post-production finished in order to release the horror film this Christmas 2015. You can check out his IndieGoGo page to help out. Starring in Slay Belles are Barry Bostwick, Kristina Klebe, Susan Slaughter, Hannah Wagner Minx, Diane Salinger, Stephen Lunsford, Joel Hebner, Richard Manly and Richard Moll. George A. Romero's EMPIRE OF THE DEAD TV Series Confirmed!? 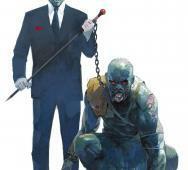 George A. Romero‘s new comic book series Empire of the Dead will be the next big thing to turn into a horror TV adaptation. Empire of the Dead is an epic tale taking place in Manhattan, NY with both zombies and vampires. This comic series was a short 15 issues so this can be a mini-series or a great starting point for a longer TV series. In the last few years we have seen great things from Robert Kirkman‘s The Walking Dead TV series and Guillermo del Toro & Chuck Hogan‘s The Strain TV series. Graphic novels tell great stories most of the time and need very little tweaking to be converted to TV or the big screen. Marvel and DC Comics is doing this for the big screen with huge profits in the last few years too. 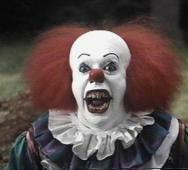 Tell us how excited you are to see this new horror TV series. 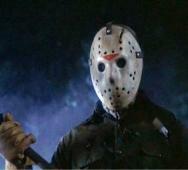 Producer Brad Fuller announced that they decided to drop the found footage angle for the new Friday the 13th film. Found footage films have their own credits and uses but no one could imagine how that would work out for a Friday the 13th movie. I mean… how would Jason Voorhees look in a found footage setting? Write your comments and tell us what you think, good move right? 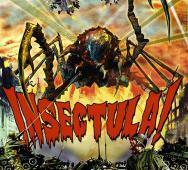 Mike Peterson‘s Insectula! (2015) horror movie is now available on DVD / VOD. You can purchase the DVD from the link below. This movie looks funny but more on the B horror movie side. The art work clearly shows that the film is going for a very campy horror movie feel. Starring in Insectula! are Pasquale Pilla, Arielle Cezanne and Harrison Matthews. FX’s The Strain Season 2 definitely has high expectations from fans of season 1 and I cannot wait to watch the first episode of The Strain Season 2 on July 12, 2015 at 10:00 EST. I cannot wait to see what Guillermo del Toro and Chuck Hogan have in store for us in the new season. I read the graphic novels so I have an idea of the general story and I am sure that we will get a few tweaks for the TV series. I cannot wait to see Starz’s Ash vs. Evil Dead and every new piece of news I eat it up. Mimi Rogers (Mad Men, Ginger Snaps, Lost in Space (1998)) joined the cast and will play the mother of Kelly (Dana DeLorenzo) named Suzy Maxwell. Details on Mimi’s character is that she is “a woman who is reunited with her family and several uninvited guests after a freak accident.” Production has already started in New Zealand with Sam Raimi, Rob Tapert and Bruce Campbell attached as executive producers. Sam Raimi will also be directing the first episode which he co-wrote with Ivan Raimi. I cannot wait to see the premiere this upcoming Fall 2015 with Bruce Campbell returning to the Evil Dead franchise as Ash Williams once again. Also starring in Starz’s Ash vs. Evil Dead are Lucy Lawless (Salem, Spartacus), Ray Santiago (Touch, Meet the Fockers), Dana DeLorenzo and Jill Marie Jones. Actor/singer Ruben Blades has joined AMC‘s Fear The Walking Dead Season 1 cast. Blades will play Daniel who is the father of Mercedes Mason‘s character Ofelia. Also starring in Fear The Walking Dead are Kim Dickens (Gone Girl, Sons of Anarchy) as Madison, Cliff Curtis (Missing, Gang Related) as Travis, Frank Dillane (Harry Potter and the Half-Blood Prince) as Nick, Alycia Debnam-Carey (Into the Storm) as Alicia, Elizabeth Rodriguez (Netflix’s Orange is the New Black) as Liza and Mercedes Mason (Quarantine 2: Terminal) as Ofelia. AMC’s The Walking Dead TV spinoff takes place in Los Angeles closer to the beginning of the Zombie (walker) outbreak. I cannot wait until Summer 2015 when it premieres. Kate Beckinsale will return to the Underworld franchise in Underworld 5 as Death Dealer Selene. Director Len Wiseman (Underworld (2003), Underworld: Evolution (2006)) said that Beckinsale would return. Directing Underworld: Next Generation will be Anna Foerster (Starz’s Outlander, Criminal Minds) from a screenplay by Cory Goodman (Priest (2011), The Last Witch Hunter (2015)) for the Underworld Sequel. Lakeshore Entertainment and Screen Gems will begin filming in Prague this October 2015. Kate Beckingsale joins already announced cast members Theo James (Underworld: Awakening (2012), Divergent (2014)) and India Eisley (Underworld: Awakening (2012), Kite (2014)). 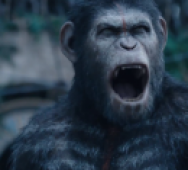 Matt Reeves is returning to bring us another Dawn of the Planet of the Apes Sequel titled Planet War of the Planet of the Apes (2017). Fox will release this new movie in theaters on July 4, 2017. Other news is unavailable but I expect Andy Serkis will return as Caesar. I really love the title and a title like that really stresses action and I hope Matt Reeves delivers in full. Tell us in the comments what you think of the new title. 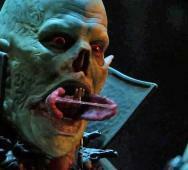 Scream Factory announced the special features included on their upcoming Blu-ray release of Howling II: ... Your Sister Is a Werewolf (1985). Howling II will release on July 14, 2015. Interesting bonus features include audio commentary with director Philippe Mora, interview with the Queen of Werewolves Sybil Danning, Alternate Opening and Alternate Ending. 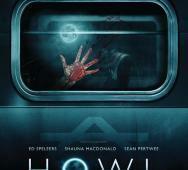 Starring in the classic werewolf film Howling II are Christopher Lee, Annie McEnroe and Reb Brown. Samuel L. Jackson has officially joined The Blob Remake. 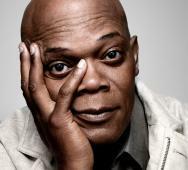 Goldcrest Films sought out the popular actor and Samuel L. Jackson accepted. Jackson will star as “a biochemistry professor attempting to thwart the other-worldly predator discovered deep within the earth.” Simon West (The Expendables 2, Con Air) is set to direct the film. Jack Harris will executive produce this new Blob film as a returning producer to the franchise after directing The Blob (1958). Also producing are Richard Saperstein (Se7en, The Mist) and Brian Witten (Final Destination, Friday the 13th (2009)). They are also attached to the film adaptation of Stephen King‘s Cell (2015) movie which also stars Jackson. Chris Haney (Avatar, Avengers Assemble) will handle the VFX in post-production. With this many talents on the film, I am expecting something great. Andrew Fleming‘s The Craft (1996) was a surprise hit horror movie that was all about teen witches creating their coven and the eventual downfall of the witch coven. Sony Pictures has decided to make The Craft Remake and has tapped Leigh Janiak (Honeymoon (2014)) to write the screenplay with Phil Graziadei. Doug Wick is returning to produce The Craft Remake along with Lucy Fisher. The original cast of The Craft (1996) included Robin Tunney, Fairuza Balk, Neve Campbell and Rachel True.